If you, like us, ride throughout the year, you’ll know that kit selection is imperative for comfort. I’m fussy when it comes to winter gloves, requiring the right blend of warmth and weather protection without the sensation of grabbing a handlebar with a boxing glove. I’ve been wearing the Weise Montana in recent months and cannot recommend them enough. A mix of full-grain leather and polyester, and the Hipora lining mean the Montana is 100% waterproof. 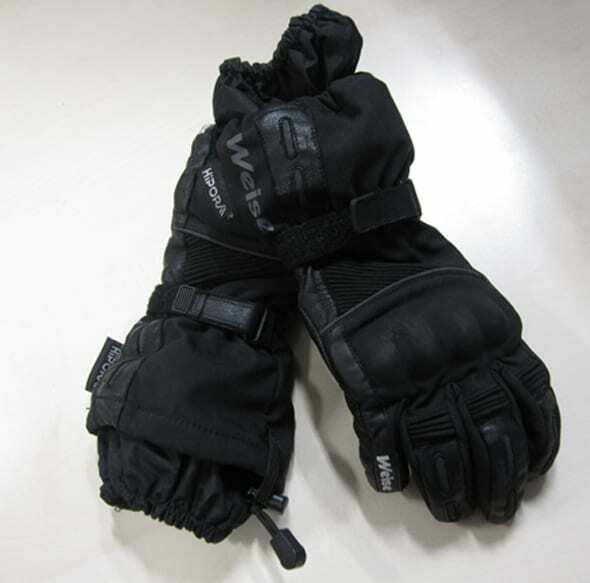 One of the best features is the adjustable double cuff system – although fiddly and time consuming, you’re guaranteed to have dry, warm hands at the end of the ride. I haven’t crashed tested them yet and I’m not planning to but, for a winter glove, the Montana is blessed with decent TPU shell protection. There’s also plenty of race glove feel on the levers.